As we ponder the ascension of yet another Clinton to the White House it is instructive to remember what the first Clinton stood for and nowhere is that better articulated than in the history of the Democratic Leadership Council. The narrow, winding creek threads its way tentatively through a swamp dominated by the compact bushes of Labrador tea, so that at times it is lost from view as if it had been swallowed by the land, only to emerge again into the light with an unmistakable glimmer. Since before my boyhood and before the boyhoods of several other generations this nondescript body of water has been known as Uncle Judd's Creek and therein lies a tale that belies its insignificant size. Judd Cleveland gave his name to the creek and to generations of rumors, none more apocryphal than the tale he was somehow related to the president who also bore his surname. The wildest of these stories speculated that he was the illegitimate son who had inspired one of the dirtiest bits of campaign doggerel ever, "Ma, ma, where's my pa?" I actually knew an old woman who with her husband homesteaded the area near Judd's Creek in a tent back when the area was still largely frontier who claimed to have been friends with the reclusive Uncle Judd. Ply her with a few of her favorite Texas Steers--basically bourbon in a giant shot glass--and she could tell Judd Cleveland tales for hours. That an American president should somehow become associated with a winding stream not far from the Canadian border surely stands as one of the stranger footnotes in American history, yet it is a footnote packed with enough potent symbolism that it resonates over a century, uniting Grover Cleveland with one of our era's more controversial presidents, one William Jefferson Clinton. There is, of course, the foul odor of sexual scandal that hangs over both men. Cleveland was a corpulent man known even to his supporters as one with an eye for the ladies. Too much has already been written about Clinton's dalliances, both real and imagined. Then there is the fact both men made it to the White House in eras dominated by Republicans, earning both reputations as adroit political manipulators whose paths mirror the meanderings of that wilderness creek as the two seemingly disappeared into the swamps of their times only to emerge again into the sunlight with an almost blinding glitter. Given these similarities it seems surprising that no one has sought to link the two men, but then those who write about politics these days tend to have short historical memories, as is witnessed by their ignoring the lost voices and lost values of those who made the last century a Democratic Century. Sadly, William Jefferson Clinton is not one of them for he stands not in the tradition of Bryan, Wilson, Roosevelt, and Truman but rather harkens back to the man who was Bryan's mortal enemy, Grover Cleveland. Grover Cleveland remains one of those presidents who has precipitated wide disagreement among historians, with some going so far as to see him as the father of the modern Presidency and others viewing him as capitulating to the unreconstructed South and the businessmen who gave the Gilded Age its name. On the positive side, Cleveland tried to weed out corruption and graft from his party, which put him at odds with Tammany Hall. On the negative side, Cleveland's economic philosophy was little different than that of the Republicans. The supporters of Grover Cleveland were known as Bourbons. Depending on the source, there are various apocryphal explanations for the term. One relates it to Kentucky bourbon, because Cleveland enjoyed strong support from Southerners who supported Cleveland because he agreed to look the other way during Reconstruction. The one that rings truest to me sees the term as relating to the aristocratic Bourbons of France who returned to power after being driven out by the Revolution. This explanation fits because Cleveland essentially capitulated to the tycoons of the Gilded Age. Among his strongest supporters were Minnesota railroad baron James J. Hill, New York financier and thoroughbred-raiser William Whitney, and Chesapeake and Ohio Canal president Arthur Gorman. In one biography of Cleveland, Horace Merrill's Bourbon Leader: Grover Cleveland and the Democratic Party it is instructive that two chapters are titled "Businessmen's President," and "Defender of the Status Quo." In short, Grover Cleveland was a closet Social Darwinist. He ascended to the Presidency via a nineteenth century version of "Republican Lite" held by many Democrats who believed the only way to the White House was by adopting the major tenets of the Republicans and encouraging the new corporate growth that dominated the last half of the century. Exhibit A in this portrait of Cleveland is one of the most contentious events in American history--the 1894 Pullman Strike. To break the strike Cleveland sent in 12,000 federal troops under the general who two years later would accept the surrender of Geronimo, Nelson A. Miles. The final toll was twelve strikers killed and 57 wounded. Our program amounts to a clean break with the recent rhetoric -- but not the traditional values -- of the Democratic Party. As the 1960s passed into the 1970s, the liberal agenda -- largely because of its success -- ran out of steam, and the intellectual coherence of the New Deal began to dissipate. The Democratic coalition split apart over civil rights, Vietnam, economic change, and culture and values, and the great cause of liberal government that had animated the Democratic Party for three decades degenerated into a collection of special pleaders...Democrats had run out of ideas -- and liberalism was in great need of resuscitation. We believe the Democratic Party's fundamental mission is to expand opportunity, not government. Like Grover Cleveland, the Democratic Leadership Council sought a truce with corporate America and thus was born the New Bourbonism. Anyone who can explain what is meant by "a dynamic but centrist progressive movement" deserves an endowed chair at Harvard, because reading these words today they make no sense other than as gibberish or an impenetrable tangle of contradictions. They also are revealing of the roots of the DLC and the New Democrats, for note how they try to cement together a series of opposing ideas into some kind of whole, like someone attempting to glue together fire and water. The New Orleans Declaration is not so much Clinton's hallowed "new ideas" as a stale intellectual smorgasbord stolen from both parties. You can hear in them the voice of Ronald Reagan as well as the voice of moderate Democrats like Sam Nunn. What you don't hear are the voices of Woodrow Wilson, Franklin Roosevelt or Harry Truman. In a fascinating psychological way, these ideas represent the mindset of an awkward, overweight boy from Arkansas who sought to get along with his schoolmates by telling them what they wanted to hear. And like a high school geek wanting to be part of the in-crowd, the DLC sucked up to the biggest man on campus in the 1990's--corporate America. That in 1990 a declaration of principles by a group of Democrats should invoke the "free market" over a half century after the New Deal seems preposterous, but then those were preposterous times. Of course, like everything else in this document that tries to be everything at once and hence amounts to nothing, it egregiously adds the phrase, "regulated in the public interest." 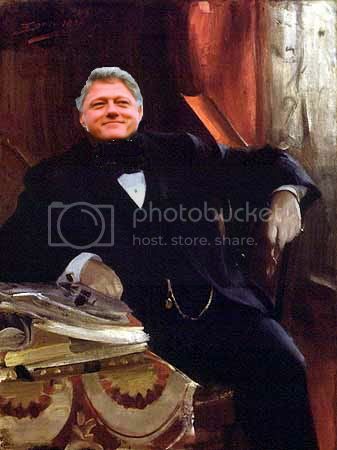 Just how much in the public interest people would find out when Bill Clinton walked through the doors of the White House and began auctioning off nights in the Lincoln bedroom. Fails to meet industry standards and performs well below most charities in its Cause. Our ratings show givers how efficiently we believe a charity will use their support today, and to what extent the charities are growing their programs and services over time. Is the country's largest and most influential right-wing foundation. The overall objective of the Bradley Foundation, however, is to return the U.S. - and the world- to the days before governments began to regulate Big Business, before corporations were forced to make concessions to an organized labor force. In other words, laissez-faire capitalism: capitalism with the gloves off. That one of the major supporters of the Democratic Leadership Council should be a right wing foundation dedicated to taking this country back to the nineteenth century surely has to rank as one of the more bizarre pairings in recent American history, but Grover Cleveland would understand it perfectly. Uncle Judd Cleveland would also. Not far from where Judd's Creek enters the lake near my parents' old home, it unexpectedly plunges over a spectacular thirty-foot waterfall. The Democrats experienced a similar plunge with Bill Clinton and the New Democrats as the Party dropped backwards almost an century. The irony of this is that it is exactly what happened to the Republican Party, so the end of the twentieth century resembled the end of the nineteenth, as if two specters from the past found themselves locked in combat. Curious about Judd Cleveland I once searched for his grave in a the local cemetery where my parents are buried. I wasn't sure what I'd find--a big stone monument or a plain headstone with only a name and some dates. Instead I found nothing. I guess I hadn't really expected to, for when you chase a legend it often ends up just as an ambiguous mark on the map of history. But it fits, for this was a man who didn't want to be found, living out his life as a reclusive hermit, as if he were running from his past. Judd Cleveland could deny his past and somehow find peace alone somewhere along that creek, but a country has nowhere to hide. All members of the Democratic Party are relatives of Bill Clinton whether we like it or not. Unlike Judd we cannot escape our past, but instead need to confront it and find our way out of the swamp the New Democrats lead us into. For eight years the party has meandered like someone trying to follow that Minnesota creek, its moral compass misplaced. It's time to recover it or our party could end up like Judd Cleveland. A fantastic post, Ralph. One quibble/comment re: "[that] a group of Democrats should invoke the 'free market' over a half century after the New Deal seems preposterous." FDR (and most of his administration) embraced the 'free market' throughout and after the New Deal, as in fact did his Democratic successors. Let's not deceive ourselves: the Democratic Party has never represented a rejection of the free market. I say that's for worse, but that's just me. So, did/does the DLC represent a change of degree or rather of type, as your post suggests? I would agree that it is a change of type because the DLC rejects the notion that the government can and indeed should be a positive force, which is the hallmark of FDR's Democratic Party. Instead, the DLC accepts the Republican conceit that "the govmn't" (as in "the govmn't ain't spendin' my money right") is intrinsically bad. By accepting this tenet of conservative faith, the DLC effectively surrendered the Democrats' only effective tool and the characteristic that made it, at least in some ways, a truly oppositional party. Or just a water downed republican (WDR) give me a bourbon and water that’s called a DLC. So who are the WDR’s? Well look at what the WDR’s have done, nothing ruined the Democratic Party the glaring example Harry Reid and Nancy Pelosi. Where I come from a WDR is referred to as a spine less coward can I get in line and follow these losers. For God’s sake if you want to be a republican be one the WDR’s are cancer and destroyed the Democratic Party. Thanks Bill and Hillary!!! Little secret about the WDR’s they all knew Saddam Hussein had no, zero, nada, and none WMD’s so please enjoy the karma that is on your hands for buying into a cowardly political philosophy.